NY Times & MSM Fake News Exposed in Anti-White, Anti-Trump Hate Crime! 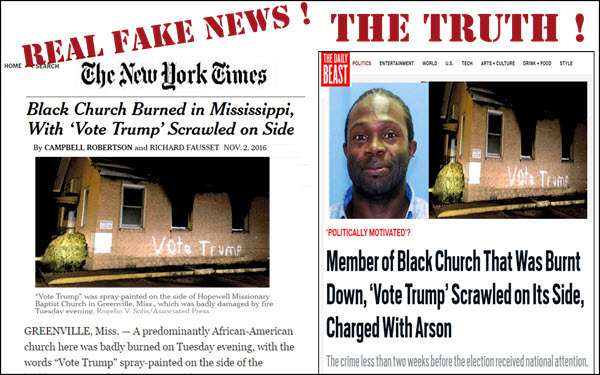 Just a few days before the election, the NY Times, Washington Post and other mainstream media conglomerates headlined a burned black church in Mississipi with “Vote Trump” spraypainted on it. Thousands of articles reported this heinous act as a hate crime against Black people and an attempt to intimidate poor black people to vote for Trump or essentially, be burned out. Almost all the articles told how Trump’s candidacy was fueling “polarization” and “hate.” Of course, in truth the real hate was being promoted by the mainstream media against Trump and white people, and the act itself which was trumpeted by the media as an act to intimidate black people was actually an act meant to intimidate white people and black people to vote against Trump. This is one more example of the ubiquitous, vicious hate propaganda being orchestrated against white people and anyone who dares to defend White interests. Blacks routinely defend their group interests and the media cheers them for it, Mexicans defend their group interests, and of course, so does the most racist, most organized, most supremacist group of all: Jews. Their power is such that no one can even mention it without being called anti-semitic. Their power is such that no one can even mention it without being called anti-semitic. At the same time no pundit or politician can say one nice word about white people as a group. Even Trump can praise Black people and thank them for their vote, and Mexicans, and Jews (of course – even though he got less Jewish vote than just about any candidate in history. But nobody in public life can dare to say a positive word about White people, while the most hateful things can be said about white people without them being labeled anti-white. 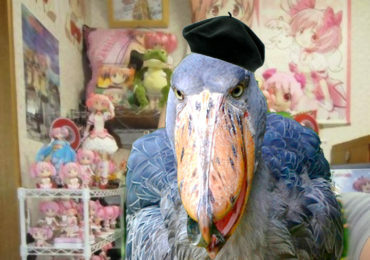 You see, you one can be called anti-semitic but never can a Jew be called “anti-gentile,” though they have some of the highest positions in media and politics all over the world. Even to discuss the purveyors of the Jewish establishment agenda as “Jews” is anti-Semitic, but the media has no problem identifying Russians and Mexicans as ethnic or national groups with clear agendas. The NY Times and Washington Post and the thousands of other anti-white media with tens of thousands of articles headlining white hate crimes — are overwhelmingly not written by blacks — not published in black owned or run publications. They are published and promoted by the Jewish-controlled media and these are the real purveyors of false news in America and across the world. Previous Post Dr. Duke and Adrian Salbuchi Celebrate the Victory in Syria and Giant Christmas Celebration of the Victorious Syrians over the Anti-Christian Jewish Tyrants Who Rule America! Next Post Dr. Duke Exposes NY Times Hateful, Anti-White Fake News & Why ISIS-Fighting Putin is Loved by True American Patriots!